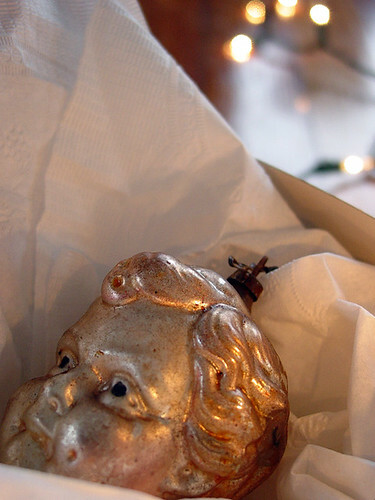 ornament : Christ child, glass, 1912.
: The cutest gingerbread house you ever did see. : cookies we brought home from the arts based preschool cookie sale Friday night. I hope you're enjoying your Sunday and some Christmas JOY.